When you need repairs on your appliance you need it now! Bill Klaas knows appliances and he knows the meaning of service. 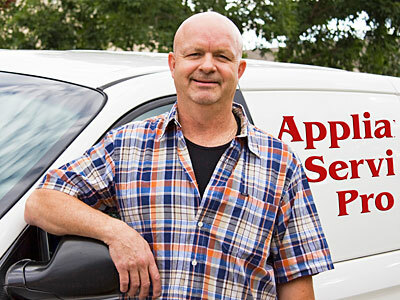 Bill brings 21 years of appliance service repair experience into your home. "I have been in the appliance repair and service industry since 1988. Any business can repair your appliance, but not all companies can offer you quality service. I do both of these things for you. The customer is always first with me. If you have questions or need help in any area of repair or replacement of appliances, give me a call and I will give you my best advice." Be sure to check out our free consumer tips. Our coverage area for appliance repair services includes the entire Denver metropolitan area. Why Call Us for Appliance repairs? My reputation is more important than profit! © Appliance Service Pro, Bill Klaas, All Rights Reserved. Please report any problems Camrud Design Inc.